Kayaking on Amelia Island is one of the best things to do on Amelia Island. The best kayak trips on Amelia Island, however, aren’t all on Amelia Island – and they aren’t all suitable for everyone. After more than 21-years of kayaking on Amelia Island, Adventures Up The Creek has created the three most popular kayak trips on Amelia Island. They also happen to be the only kayak trips on Amelia Island that are open to the public. 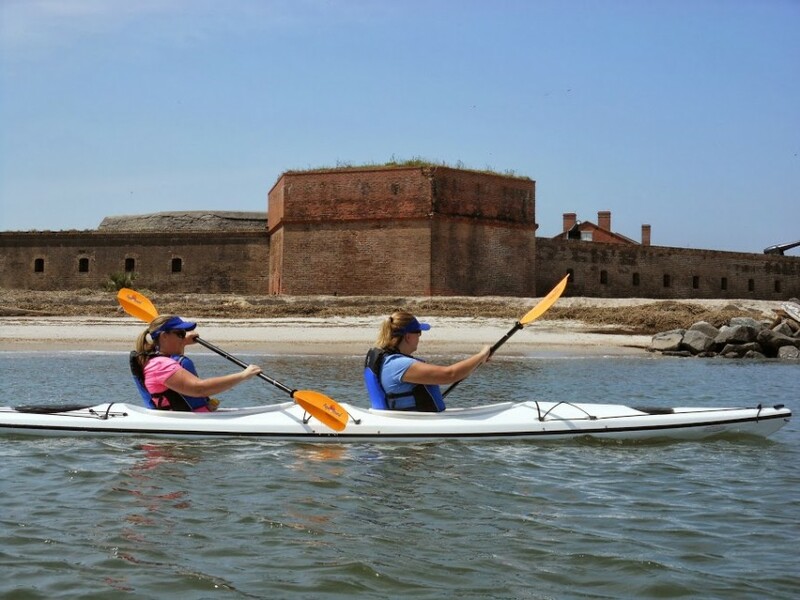 Below, we’ve listed the 3 best kayak trips on Amelia Island from least-to -most difficult. 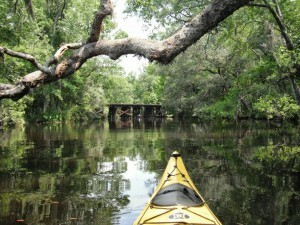 Lofton Creek is the most popular kayak trip in the Amelia Island area. Located in Yulee, Florida – just minutes off the island on SR200 – Lofton Creek is a calm, black water creek with beautiful scenery and abundant plant and wildlife. Several species of woodpeckers live here as well as hawks, owls and dozens of other interesting bird species. Additionally, Lofton Creek is full of turtles; and we even see baby alligators occasionally on our morning paddles. The current is mild on Lofton Creek and it’s the only kayak trip on Amelia Island that provides some shade for paddlers on hot days. 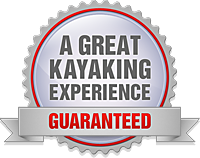 Kayaking on Lofton Creek is fun and relaxing and suited for all ages and experience levels. If you’ve never been kayaking before – or just never kayaked in this area before – Lofton Creek is the trip for you. This is also the only kayak trip in the area suitable for small children. 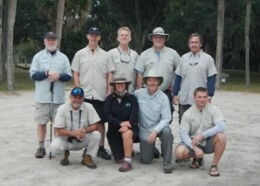 Egans Creek is a salt marsh paddle and the only truly public paddle that is entirely on Amelia Island. Launching from the Dee Dee Bartels North End boat ramp on Amelia Island, this kayak adventure continues up the Amelia River and into Egans Creek where paddlers will enjoy stunning views from a unique perspective. Coastal bird life is abundant in this estuary and the lighthouse, homes and sailboats along the creek provide interesting scenery and a great backdrop for a day on the water. On breezy days, parts of this paddle can become a bit bumpy; and we move this trip to Lofton Creek if the wind is forecast to be 15-mph or higher. 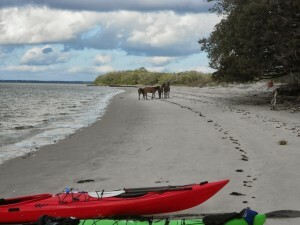 Egans Creek and Cumberland Island kayak trips are based on tides and aren’t always available. Kayaking to Cumberland Island from Amelia Island is fun, scenic and potentially very exciting. Both the Egans Creek paddle and the Cumberland Island trip launch from the Dee Dee Bartels North End boat ramp – which is located where the mouth of the Amelia River meets the Cumberland Sound. This is a busy boat ramp with sometime large and heavy boat traffic – including Coast Guard and Law Enforcement vessels. I have personally been swamped by a huge wake from a passing ship as I was trying to launch a sea kayak at this ramp without my spray skirt completely sealed. Due to the nature of the water here, all trips launching from this location should use transitional or sea kayaks with at least two bulkheads and, ideally, some type of splash deck or spray skirt. Failure to use the proper gear could result in capsize, injury or even death. Make sure your outfitter is using the right equipment (if they aren’t, then you’re with the wrong outfitter)! Most people are surprised to learn that the Cumberland Island and Amelia Island area experiences an average tidal range of approximately 8-feet. That much water coming in from the Atlantic Ocean in a 6-hour period is impressive; and the rise and fall of that much water creates dramatic tidal currents most kayakers can’t paddle against. A little wind can also create surface conditions that become unmanageable for most paddlers in a matter of minutes. Of all of these trips, Lofton Creek is the only one you can safely do on your own (or with another outfitter) – unless you are an intermediate-level kayaker with the appropriate gear. Launching from the Dee Dee Bartels North End boat ramp is NOT for beginners OR recreational kayaks. There are at lest two other Amelia Island Kayak outfitters launching from that boat ramp, but neither of them has the appropriate equipment, training or experience to lead guests in that water – and both use recreational kayaks (against the manufacturer’s recommendations for use) in what we consider legitimate Sea Kayaking conditions. At least one of them (Amelia Adventures) has taken small children out in the Cumberland Sound in recreational kayaks and has had at least one adult guest capsize in the Cumberland Sound and subsequently have to get a ride back to the boat ramp after swimming to shore. The Cumberland Sound is considered Level 3 Coastal Kayaking and is no place for beginners. Do your homework and make a wise and safe decision when choosing a kayak adventure – and outfitter.